Some things don’t mix well together but there will always be a way escaping those by reading these tips. Choose a metal you love to be the most prominent in your space, then select one or two metal accents to complete the look. For example, in the photo above, gold ensures the room a sense of unity, and then the accent metals guide the eye throughout the space. If your kitchen hardware is in an oil-brushed bronze, copper pots and accent pieces will add a warm glow. If you have a more modern, stainless steel kitchen, choosing a chandelier or vintage piece with silver or gold can add charm and texture. Or are you an all gold and white girl? (This is often us at the Kuotes). 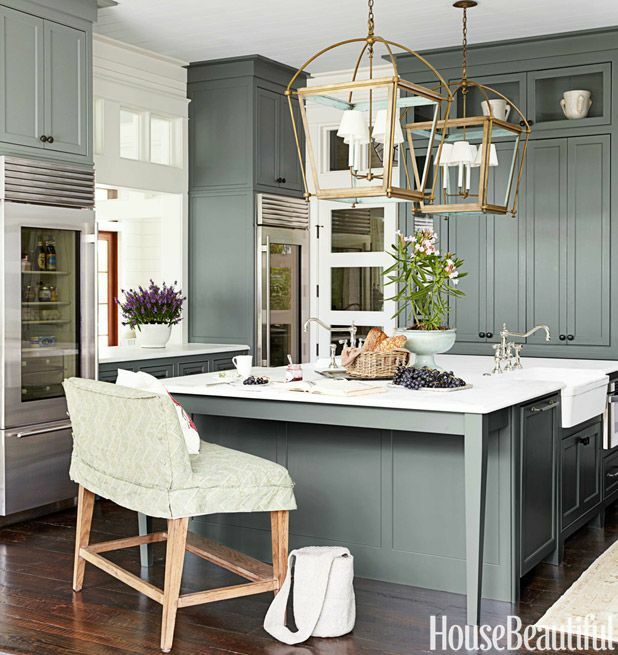 Add in a chrome table or pendant light for metallic balance. Warm metals (like gold and brass) come off as a rich pop of color and texture when placed with cool metals like silver and chrome. Many people think that matching your finishes is the best way to coordinate your home or kitchen, but in reality this often creates a monochromatic and less interesting look. Although we encourage mixing and matching, it is very important to consider your color palette when selecting your metal tones. Typically, you should use warm metals (like gold, brass, and copper) with warm hues (like reds, browns, and yellows) and cool metals (such as chrome and silver) with cool hues (such as blue, green, and violet). It is neutral rooms, however, that beg for metallic accents in order to add warmth, texture, and color. 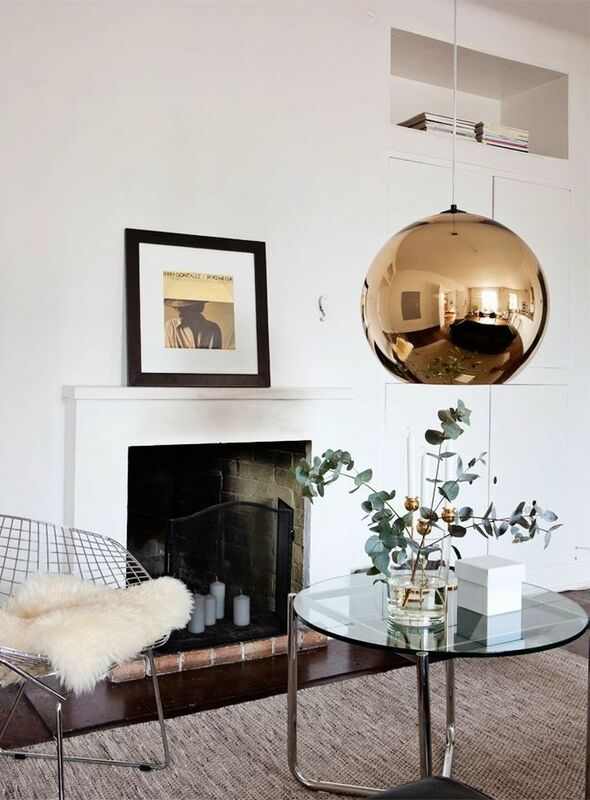 If you’re using gray tones, a gold mirror can make a room come to life. Use your metals to even out your room temperature. When using metals, don’t forget to consider texture. It can make all of the different in a space with mixed metals. Combine matte, polished, and hammered finishes to create a rich, yummy atmosphere. Iron is the neutral of the metallic world. It is a modern industrial touch that adds a dark element to a palette that needs to be grounded or toned down. It won’t clash with other metal tones, and it also helps warmer metals, such as gold, gain a stronger pop of color. We predicted this as a trend way back when we visited the Kips Bay Decorator Show House: metallic everything. Mix your metals not only with your hardware and finishings—metallic textiles, artwork, picture frames, and wall paper are all options you can use. Look at the photo above. Even though we have silver and gold here, the two metals never compete for attention. The mixed metals also add dynamic to a room that’s otherwise perfectly symmetrical and matching (the gold table legs even match the pattern of the carpet). Play around with the metal in your home, but don’t go overboard. Our guideline? Stick to two finishes. There’s a potential for three is there’s a statement piece of some kind, or if the metals are spread across a large space, but ideally you want two metals, a prominent tone and an accent. Previous Post: Four Easy Ways to Keep a House Clean: It may not be Spotless, but at Least it’s Livable!